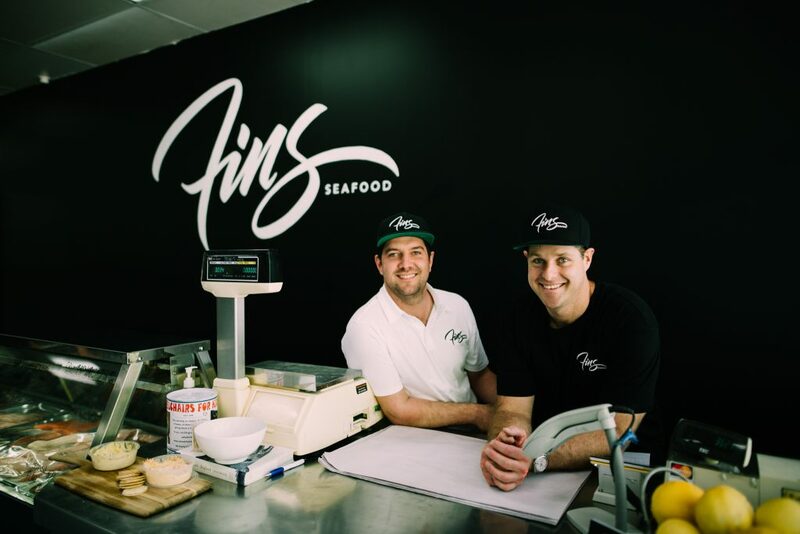 Phil Clark and John Cordin – owners of Fins in Hamilton Hill. In the seafood industry, passion is important. And for both John and Phil they are not lacking in it. Phil, the winner of the WAFIC State Seafood Awards Young Achiever prize in 2015 and John, the Young Achiever Award winner in 2013, say that working in the local seafood industry was destiny. 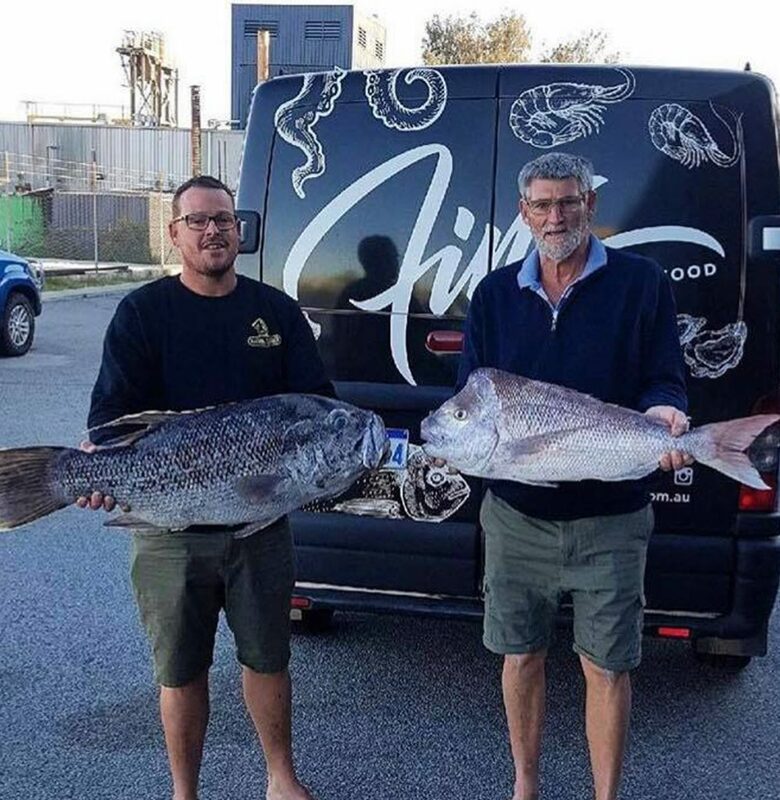 It was this passion combined their go-getter enthusiasm for seafood and WA’s commercial fishing industry that saw them take less than six months from initial concept of the commercial venture to opening the doors of the South Perth seafood retailer shop. “Phil and I came up with the idea when we drove to Perth from Melbourne. We decided on the concept of the business and what we wanted to represent in terms of the colours and logo etc.,” said John. Phil explained the logic behind the black and white colour scheme. “Back in the old school days when everything was good quality – the daily fresh catch was drawn on a chalk board. Our colours at Fins Seafood are black and white just like our customers decisions at Fins seafood which are black and white – with no grey areas. Our customers know exactly that the seafood at Fins will be top-quality,” he said. 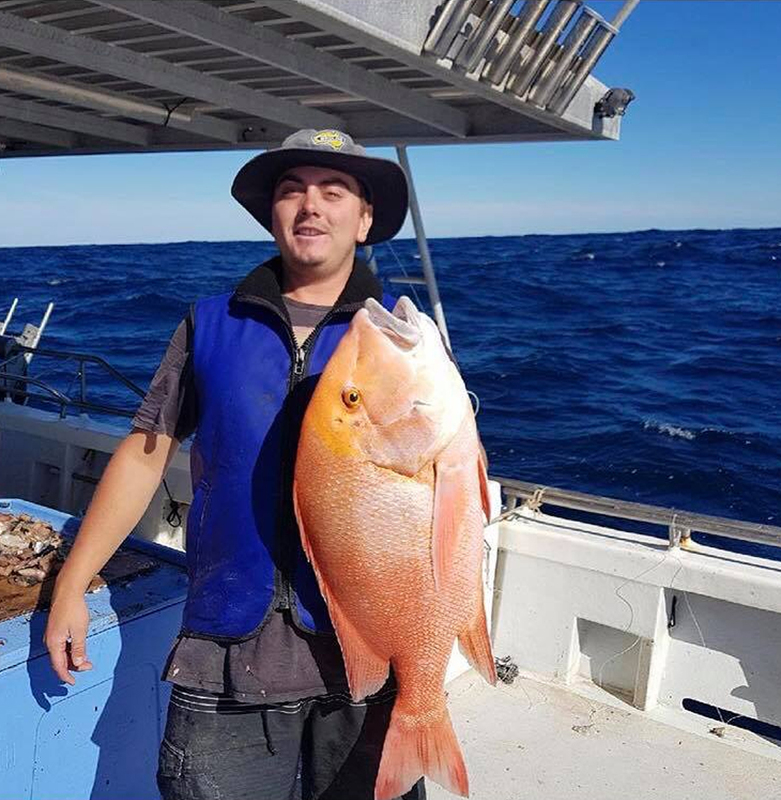 Fresh and local is priority – pictured here is Fins newest fisherman, from the beautiful waters off Kalbarri. Haydos is a wet line specialist pictured here with a Red Emperor. One of the ways that they ensure local seafood product knowledge is passed to customers directly, is through training of staff – an important component of their business model. Phil said that it is not only the latest recruits that get training. “I watched the crew do it the first time and thought I can do this the whole day. That was a bad idea… I was sore as. But it was a great learning experience,” Phil chuckled. John said that the educational experience wasn’t just for staff at Fins. “Our suppliers also benefit from what we have learnt along our journey. We make sure they’re very much involved in our business and assist them by providing guidance to continue to improve”, he said. With over 2000 followers on Instagram, it is easy to see why… the Fins library is full of vibrant, interesting and educational photos of the seafood industry throughout Western Australia. Expect to see daily updates of catch, recipe ideas from local restaurants and behind the scenes action from fishers. I asked Phil the question … I have heard you like to post a lot. John said that the popular social media platform, Instagram, has assisted with selling seafood to new customers, wholesalers and chefs. The two mates and business partners are certainly not the new squids on the block anymore, adding to the two-and-a-half-year-old business by opening the Hamilton Hill warehouse and processing factory a year ago. “The processing factory in Hamilton Hill only opened at the start of the last financial year,” said John. Concluding, John said that the challenge in the future is the aging demographic of the industry. The boys want to encourage the younger generation to join the industry! Pictured in this photo is part-owner Phil Clark on an Occy boat – learning the ropes. Phil echoed the statement, encouraging anyone with a passion for the industry- not just fishing, but processing and cooking to come down and interact with us. 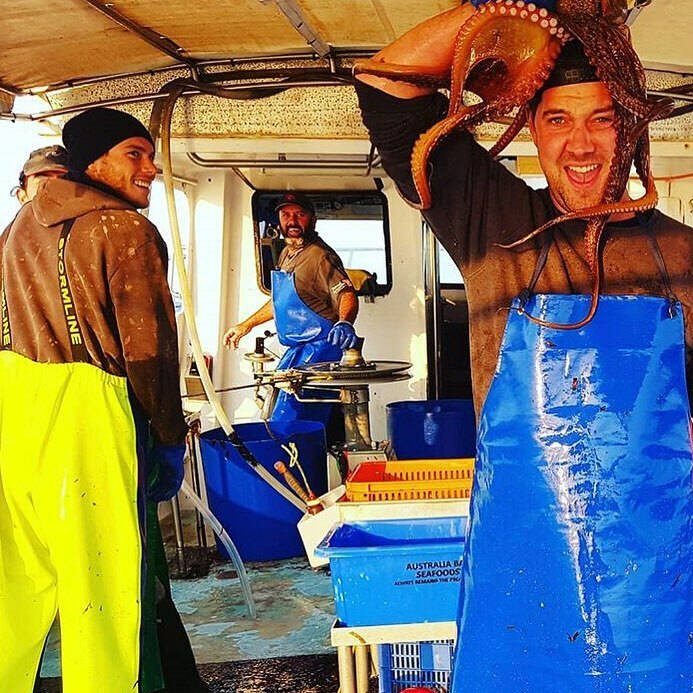 “This is why we love the industry – the daily interaction with people from fishers to customers, the ability to tell local seafood stories and the chance for us to make a change,” said Phil.